Hey guys, if you’re in Chicago next week, check out John Allan’s Chicago premier men’s grooming club. John Allan’s Chicago will be grooming it big time in Bloomingdale’s “Look Sharp Event” on Saturday, September 11th at Bloomingdale’s in The 900 Shops. As Chicago men refresh their looks for fall, this is the perfect complimentary grooming event to consider for an upcoming item. John Allan’s will be providing complimentary haircuts and manicures from 12:00 p.m. to 6:00 p.m. on level two. Furthermore, John Allan’s will offer attendees vouchers for their discounted $38 “Signature Full Service” grooming package at the club which includes a scalp massaging shampoo and conditioning treatment, hot towel, haircut, manicure and shoeshine. This is an amazing value for a phenomenal service! All appointments for the “Look Sharp Event” must be pre-booked through Bloomingdale’s by calling 312.440.4821. 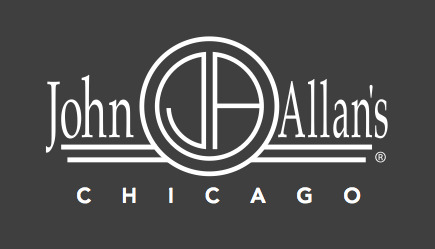 For more information about John Allan’s, please visit johnallans.com or call the Chicago location directly at 312.663.4600. Carolina Herrera Spring 2011... and MADONNA!